so bright and sunny and pretty this time of year. You want to come visit? You can stay in our barn. Ha! We'll drink sweet tea, play board games, sit in the sun until we're miserably hot, then get in the pool. Maybe shoot some photos together. We'll admire the incredible skies and dream about Fall, all while soaking up summer. ohhhh WHAT a beautiful barn with all of those surrounding flowers!!! Ooo! 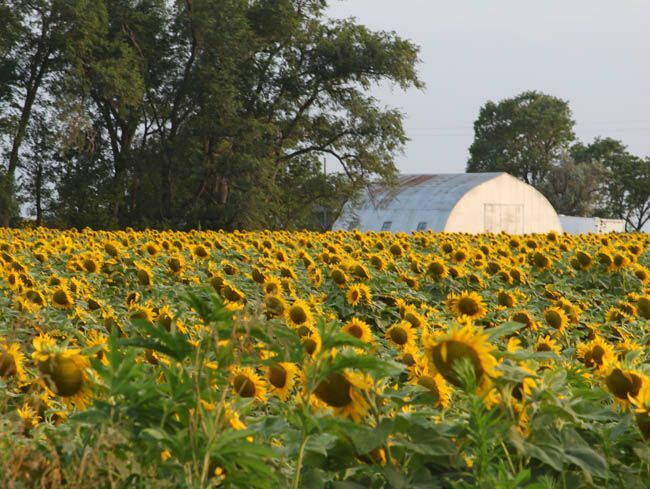 Sunflowery! Okay, when do you want me there? If you promise me no tornadoes I am there! oh oh pick me pick me! i want to come visit. too bad kansas isn't on our way back when we drive from cali to bama! So bright and cheery :) Sounds like a great place. I'm going to Wichita in August plan on having some good weather then, okay? Well, well, well, I just might take up your offter! :) I love me some sunflowers as they are my favorite kind. A good friend of mine lives in Kansas and she LOVES living there. Well, you better be careful, I just might show up at your door step. ;) Just kiddin', maybe? 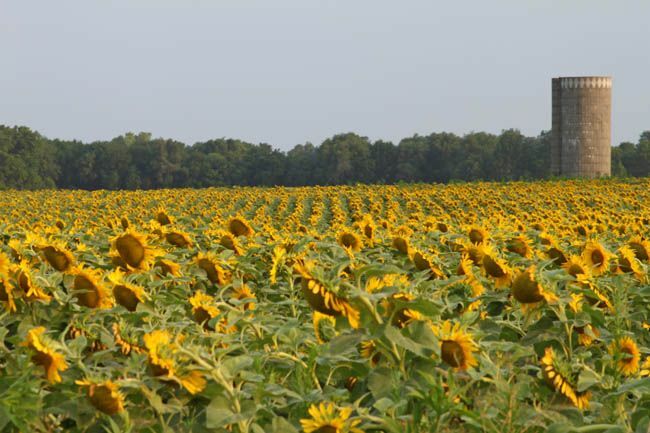 the sunflowers look sad all facing down like that. It must not have been a sunny day. Lovely! Dreaming about the next season while soaking up the current one is one of my favorite things! Especially summer and fall!!! I've never seen wildflower sunflowers, not ever ever ever- until a few weeks ago. I saw my first few along the side of the freeway while we were on our way to the zoo. And then as summer progressed, more and more. And now, there are fields of them, EVERYWHERE!!!! I had no idea. I've never seen them in our past summers here, does it only happen every so often? I'm so baffled. Sunflowers remind me of a loved one that I miss VERY much. So every time I pass these fields, I think of her. And I feel at peace. 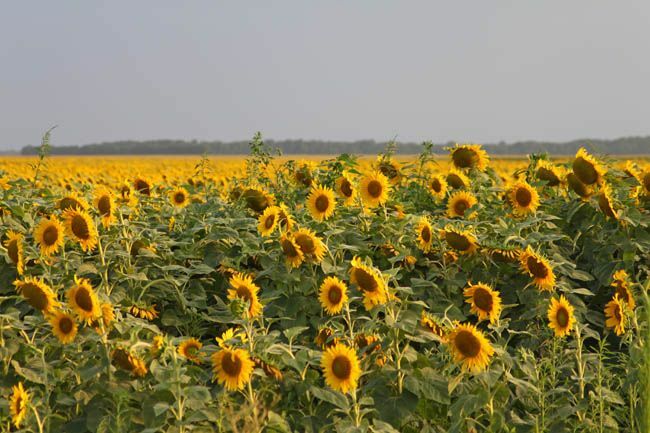 I love driving through Kansas in the summer with all the sunflower fields and their little faces turned toward the sun. So beautiful and peaceful. That's an offer few could pass up! Mmmmm, we are having a dreary summer in Seattle so this is lovely to see! I LOVE sunflowers! These pictures are gorgeous. 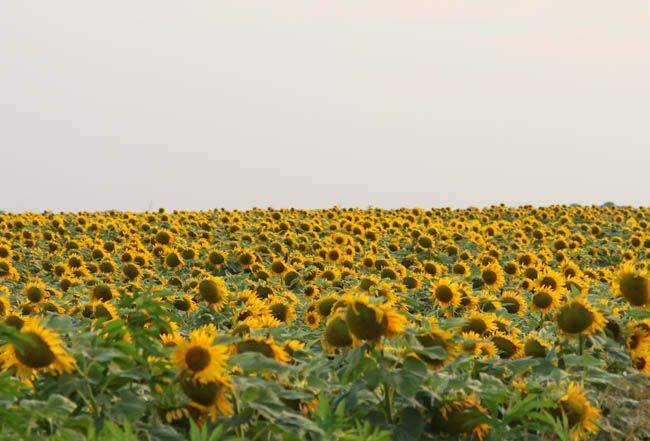 My husband asked me to marry him in front of a field of sunflowers when we were on vacation.